Not to be confused with Izhevsk Mechanical Plant. Kalashnikov Concern (Izhevsk Machinebuilding Plant until 2013; Russian: Ижевский машиностроительный Завод) or IZHMASH (ИЖМАШ) is the largest arms manufacturer in Russia headquartered in both Izhevsk (Udmurtia, Russia) and Moscow that produces a wide range civilian and military weapons including assault and sniper rifles, guided artillery projectiles and a wide range of other precision weapons. The majority of civilian products includes hunting shotguns, sporting rifles, various machines and tools. The Concern produces about 95% of all small arms in Russia and supplying to more than 27 countries around the world. The Concern contains three brands: "Kalashnikov" (combat and civilian weapons)", "Baikal" (hunting and civilian guns), and "Izhmash" (sporting rifles). The Concern is developing new business lines that include remote weapon stations, unmanned aerial vehicles and multi-functional special-purpose boats. In May 2014 a deal to transfer 49% of the company’s shares to private investors (Andrey Bokarev and Alexey Krivoruchko) was completed, a majority – 51% – remained within the state-owned corporation Rostec. At the same time, by agreement of shareholders, the control over the management of the Concern always stays with the private shareholders. Therefore, although the state has remained a controlling stake owner, the management structure of Kalashnikov today is of a private company. Izhevsk Gun factory construction started in 1807 by the order of emperor Alexandr I (according to some sources, the venture was called Kama-Izhevsk Alexandr Factory). Andrey Deryabin, mining engineer, was responsible for the construction and site picking. The place (the bank of the Izh river) was chosen due to the proximity of iron works, which immediately solved all the raw material supply problems. Now Deryabin is widely known as Izh-town founder, since the factory managing Arms Office opening became a great impulse for the whole town development. Deryabin employed Russian and Udmurtian ploughmen living in the neighbourhood. At that time ploughmen were to migrate to plants and work there. Far settlements were released from these responsibilities but had to provide works with wagons, horses and harnessing. It also was Deryabin that hired foreign specialists to guide Russian craftsmen. Ten stone plants, several wooden constructions and a towered main building were erected in 1811-1816. First weapons were produced in autumn of 1807. It was the #15 17.7 mm smoothbore muzzle-loaders for soldiers. The plant supplied the Kutuzov Army with over 6 thousand #15s. Russian smooth-bore 17.7 mm gun made in 1808 was mass-produced for infantry equipping. There also were grapeshot-loading ranger, uhlan and horse-guard short rifles, cuirassier and hussar carabines, dragoon musquets, flint blunder buss made in 1809. The venture also produced pistols and gun parts and remelted trophy weapons. After a while the plant started producing uhlan, horse-guard, cuirassier and dragoon rifles aside from infantry arms. In the1830-1840s the works manufactured Gartung short rifles, Phalis breech-loading shoulder-weapons and boarding guns for the Baltic fleet aside from infantry pistols and cuirasses. In 1844 the decision to upgrade current guns into more rapid firing percussion muskets was made. Cap lock gun production started in 1845. During the Crimean War, Izhevsk supplied the Army with 130 thousand rifles and a third of them were grooved. First guns employed by Russian Army were Luttich short rifles for infantry battalions made in 1843. During the 50 years of the plant’s operations over 670 thousand of flint guns and pistols, over 220 thousand percussion muskets and pistols, over 58 thousand rifle guns and impressive number of cold weapon were produced. As for the cold steels, the venture manufactured knives with scabbards, cuirassier backswords, dragoon sables, short brown bills and lances. In 1835 the plant decided to transfer cold weapon production to Zlatoust and focus on fire-arms manufacturing. In 1867 Izhevsk gunsmiths got a kind of manumission and the enterprise was leased to private management. In 1884 the plant was returned to the state and became Izhevsk Gun and Steel Factories (IGSF). Berdan four-port rifle (produced in 1874-1890) was the most popular gun of the plant. 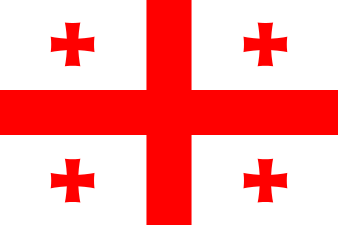 It allowed Russia to approach the European industrial empires’ level of armaments. 1885 started manufacturing of hunting weapons. Later, in 1922, the first state hunting gun factory was opened on the enterprise‘s premises. During the First World War the plant supplied army with over 1.4 million of new rifles and approximately 188 thousand of remelted shoulder weapons. By 1917 the works employed over 34 thousand people. In the 1920s the venture manufactured various types of civil goods including the railway buffers, acid ammonium molibdate, emery sticks, etc. The town’s chemical industry commenced with the establishment of works for Berezol effective cement power production. In spring, 1925 the plant started manufacturing crankshafts and aircraft engines and first Soviet motorcycles in 1929. In 1930 IGSF organized a machine-building insourcing. In 1933 a motor-plant was founded in Izhevsk and some specialists and equipment from Izhevsk Gun and Steel Factories were transferred there. Mosin dragoon rifle, produced mainly by the plant, was upgraded in 1930. The three-port Mosin rifle made in 1891/1930 was employed by Russian Army and Navy. The first sniper gun was based on the Mosin rifle and produced in 1931. The works also designed the aircraft machinegun, aircraft gun and antitank weapon producing technology. In 1939 Plant № 180 was diversified into metallurgic Plant № 71 and engineering Plant № 74, which also manufactured weapons. During the Second World War the works released 11.3 million rifles and carbines, which exceeded all the German plants’ output (10.3 million). Over 15 thousand aircraft guns and over 130 thousand antitank weapons were produced. Besides, mass production of antitank weapons, aircraft guns and machineguns, pistols and revolvers was set up. It took 24 hours for the works to supply one rifle and one air divisions. In 1941 the plant set up Degtyarev antitank gun production less, than in a month. Simonov antitank gun was ordered in November, 1941 and already released in 1942. Berezin aircraft machineguns (UB-12.7) production was mastered in a short term, TT pistol and Nagant revolver production was aligned. In 1942 manufacturing of 37 mm Shpitalny and Nudelman-Suranov NS-37 aircraft guns and sniper rifles with optic sights commenced. On July 20, 1942 Plant № 622 (future Izhevsk Mechanical Plant) was segregated from Plant № 74. Part of the equipment was transferred from Izhevsk Engineering works, a part was obtained at evacuated Tula and Podolsk mechanical plants. During the war, Plant № 622 produced Degtyarev-Simonov antitank guns, TT pistols, Nagant revolvers, flare guns, ignition case primers. During the postwar period the plant started to release a wide range of civil goods like agricultural equipment, furniture and other. At the end of the 40s main civil products were hunting weapons. In 1945 Izh motorbikes manufacturing was resumed. At the end of the 50s the plant was involved in cosmic exploration and created first S-325-B launch vehicle for the Earth atmosphere scanning and gaining data on near space characteristics. At the beginning of the 70s M-100B and M-120 were designed, vacuum devices (magnetrons) for modern aircraft and missile early detection systems were produced. Sporting variants of hunting guns were designed. TSSV-1 and S-49 target sporting rifles, TSV-50 and MTSV-50 free rifles for 7.62 and 5.6 mm cartridges were produced. Evgeniy Dragunov commenced and headed upgrading the target rifles in 1955. Hunting models were also being improved. In 1960 the Bars rifle appeared, in 1961 Madved was constructed and in 1964 Los was released. The development of sniper weapons continued. Dragunov headed 1891/1930 sniper rifle improvement in 1948 and created new model, MS-74. Testing showed advantages of the gun to Simonov rifle. 7.62 mm Kalashnikov assault rifle was also designed in 1948 and mass-produced in 1949. On July 3, 1963 7.62 mm Dragunov self-loading sniper rifle was employed by the Soviet Army. In 1942-1952 the plant’s design bureau had a team of 16 German gunsmiths-designers including Hugo Schmeisser, the inventor of StG 44, Gustlof Werke, chief designer Karl Bartnicke and his assistant Oskar Schink, Werner Gruner and Kurt Horn, the developers of MG42. 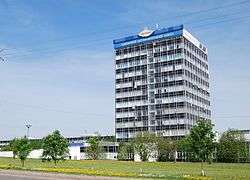 In 1975 Izhevsk engineering plant became IZHMASH Industrial Association. In 1993 Viktor Kalashnikov and Aleksey Dragunov developed PP-19 Bizon submachine weapon. In 1994 Russian Army employed AN-94 Abakan Nikonov automatic rifle produced by IZHMASH. Hunting carabines based on Kalashnikov’s Saiga were gaining wide popularity. The series development started with Saiga for 7.62х39 cartridges release in 1992. Later other weapons of the series appeared (Sobol, Tigr, Los, Volk). IZHMASH expanded its production and commenced manufacturing the GP-34 grenade launcher and UAV. After the plant was amalgamated by Rostekhnologii State Corporation in 2008 IZHMASH became a parent company of the close combat weapon systems’ holding. The holding ventures produce ammunition, high-precise weapon, UAV, automatic small arms including automatic guns, submachine weapons, pistols, shooting-grenade launchers and sniper weapons, develop technologies and manufacture special equipment for production. In the Russian military-industrial complex system, Kalashnikov relates to the "Conventional Arms Industry". The State Corporation "Rostec" holds 51% of the shares of the Concern, and private investors own the remaining 49%. In November 2012 Dmitry Rogozin proposed to merge Izhmash with Izhevsk Mechanical Plant (Izhmekh) under the new name "Kalashnikov". In a meeting with the Russian president, Mr. Rogozin has said "Izhmash and Izhmekh, with due respect, are not brands. "Kalashnikov" is a brand." Vladimir Putin supported the idea. The merger was concluded on 13 August 2013. Concern "Kalashnikov" was created on the basis of NGO "Izhmash" and is the parent company of Rostec’s small arms holding. In 2013, based on the decision of the State Corporation Rostec Kalashnikov Concern (NGO "Izhmash") was renamed into Concern "Kalashnikov"; and that same year Rostec leadership decided to transfer 49% of the "Kalashnikov" to private investors. A group of private investors (shareholders) are represented by Alexey Krivoruchko and co-owner of "Kuzbassrazrezuglja" and "Transmashholding" Andrei Bokarev. To implement the transaction Rostec issued additional stock, so that investments were made directly into the share capital of the Kalashnikov and went to the company’s development right away. Today, the main goal – to increase capitalization and profitability of the enterprise, to ensure the sales growth. In May 2014 a deal to transfer 49% of the company’s shares to private investors (Alexey Krivorucko) Andrey Bokarev and Iskander Makhmudov was completed, a majority – 51% – remained within the Rostec. At the same time, by agreement of shareholders, the control over the management of the Concern always stays with the private shareholders. Therefore, although the state has remained a controlling stake owner, the management structure of Concern "Kalashnikov" today is of a private company. "We are currently discussing a repurchase of additional 2% of the shares from Rostec and receiving a controlling stake in JSC "Kalashnikov Concern" by private shareholders, – Kalashnikov’s CEO Alexey Krivoruchko said. – The model of public – private partnership is one of the most effective for the management of industrial enterprises and it allows us to implement large-scale projects. Within the framework of our rebranding, which was done in December 2014, a new corporate brand of Kalashnikov was presented, as well as updated product brands for the combat Kalashnikov weapons, Baikal hunting weapons, and sports line – Izhmash, which are now part of brand portfolio. As part of strategy plan of widening the product line of the group, the company purchased a 49 percent stake in Euroyachting Rybinskaya Shipyard Group that produces high-tech landing craft, search and rescue and pleasure launches. Also, it acquired a controlling stake of 51 percent of ZALA Aero, a developer of unmanned aerial systems. Despite the sanctions at the end of 2014 Kalashnikov almost doubled the production of small arms and in 2015 plans to further increase it by at least 20-25%. The sanctions affected not only the Concern, but also foreign buyers of its products. Kalashnikov hopes that the sanctions will be lifted and the Concern will be able to return to the US market. Especially since now there are new products that were announced: the balanced automatic carbine Saiga-107, carbine Saiga-9 and self-loading shotgun Saiga-12, which evoked great interest among American consumers. On December, 2nd 2014 Kalashnikov Concern presented a new brand. The Concern brand renew is a symbol of long ripened changes and reflection of the companies’ new strategy. New brand joins in itself the main values of all Concern functioning: reliability, responsibility, constructability. Owing to rebranding the brands portfolio common architecture was created including the "Kalashnikov" corporate brand and three production: fighting weapon – "Kalashnikov", hunting – "Baikal" and sporting – "Izhmash". In addition to new corporate and production design the names system has been created for all concern issued weapon models. "The Kalashnikov is a Russian symbol that is known across the world," said Alexey Krivoruchko, Kalashnikov’s chief executive. "The rebranding is a symbol of changes in the way our business works and our product lines that have been long in the making. The new brand will reflect our main principles: reliability, responsibility and technological efficiency." Rebranding plays an important role in the culmination of the concern’s new development strategy. It overlooks the expansion of the global geography of sales and an increase of supply by four and production sizes up to 300 thousand units a year. "Concern Kalashnikov occupies 95% of the Russian firearms market and in correspondence with a new strategy is piling up production for a sales increase around the world. However, in order to compete with world leaders on an equal standing, an understood, strong, and recognizable brand is necessary," noted CEO of Rostec Sergei Chemezov. Concern Co-owner and CEO Alexey Krivoruchko presented the development strategy till 2020. Its main priorities are the following: wide range issue of world market competitive products, production processes effectiveness increase and modern management structure design. The one of the creator of new brand Alexander Kool expressed: "In production brand of fighting weapon we rethought and saved all symbolic capital of Kalashnikov name. Today this is the brand of fighting weapon which philosophy expressed in motto "The weapon of the peace"/Protecting peace, is in the base of all communications and design system. We are positioning the fighting weapon of Kalashnikov as unique in the world which has the reputation capital with the sign "+"". Rebranding is a key element of the concern’s expansion onto new markets and the broadening of sales in the civil sector. In the future the recognizable Kalashnikov brand will become the basis of a clothing and accessory line. In 2014 Concern "Kalashnikov" has presented a strategy for technical re-equipment and production modernization. When implemented, the project will qualitatively improve production technology and greatly reduce running costs and energy consumption while also improving working conditions and overall productivity. The presentation of the strategy took place during a visit of Rostec Corporation CEO Sergey Chemezov to the Izhevsk Mechanical Plant in 2014, which coincided with Gunsmith Day, celebrated on September 19 for the third consecutive year. This holiday is closely linked with the legendary Izhevsk designer Mikhail Kalashnikov, after whom the concern is named, and who also first proposed celebrating Gunsmith Day. One of the key areas of work for optimizing the concern’s production is the introduction of MIM technology, which facilitates the production of parts with complex shapes with little or no additional processing. "One of our strategic objectives is to increase the competitiveness of our products in the global market through systematic and consistent work aimed at increasing productivity and efficiency. "The program to modernize production will reduce by more than two times the amount of unnecessary equipment. The production space will be decreased by more than 40%. We also expect to reduce costs for producing specialized equipment by 15-20% while simultaneously increasing capacity, thus expanding the range and volume of our production. "- Kalashnikov’s CEO Mr Krivorochko said. ensuring the competitiveness of the production processes at the level of the best world practices. Achieving maximum specialization in key competencies and technological limits and the widespread use of outsourcing mechanisms in terms of auxiliary processes. Concern "Kalashnikov" stays an important branch of the Russian military-industrial complex (MIC) and is the leading organization of the holding company developing business in the area of advanced models of military and civil complexes. High reliability and operational simplicity are two key factors that make the Kalashnikov weapons so unique. Since its founding in 1807, the Izhevsk Mechanical Plant (today the Concern "Kalashnikov") has been supplying the Russian army with firearms and melee weapons. From the days of the Patriotic War of 1812, every significant military victory that Russia has scored was attributable to the efforts of the Izhevsk gunsmiths. At the present time, the design center is working on more than 50 advanced projects being developed for the military and Special Forces units of the Russian Federation and for civilian customers. Such projects include the development of pistols, assault rifles, self-loading sniper rifles and automatic grenade launchers. Its products are currently in use in a wide variety of countries, ranging from well-established countries such as the United Kingdom, Germany and France to the developing countries of Asia, Africa and Latin America. The factory produces the famous Kalashnikov series of rifles for the Russian military and for export. Mikhail Kalashnikov, the rifle's designer, worked at the factory. Variants produced at Izhmash include the AK-100 series of rifles, the Saiga sporting line of rifles and shotguns. In particular, the Saiga line of rifles has been a success for the concern, being popular with sportsmen in countries such as the United States. In 2012 about 70 percent of the factory’s output was civilian rifles, up from 50 percent in 2010. Of the civilian arms, about 40 percent are exported to the United States.."
In 2014 Kalashnikov Concern exhibited several new models of its firearms at the Eurostatory 2014 Exhibition in Paris. Based on military weapons, the new rifles and carbines have been adapted for the civilian market and are part of a drive by the company to carve out a niche in the market for hunting and sporting weapons. The production of three new models of the firearm was announced during the Eurostatory Land and Air-Land Defense and Security Exhibition in Paris. The models in question are the Saiga-MK107, Saiga-9 and Saiga-12 model 340 weapons. The first series of Saiga-12 model 340 entered production in 2015. And in September 2015 for the first time within the World Championship (IPSC) all the sportsmen-participants of the Kalashnikov's teams were shooting with the newest shotguns "Saiga-12", version 340, which have come into the retail market in 2015. It is a unique shotgun, as it is absolutely reliable and completely ready for the competitions in practical shooting, the shooter only needs to find the appropriate sight picture. "Development of shooting sport and safeguard principles to cultivate the safe use of firearms by persons of good character worldwide is an important priority for the Kalashnikov Concern as one of the world's largest arms manufacturer, – Kalashnikov Concern CEO Alexey Krivoruchko said. – IPSC Shotgun World Championship is an important expert platform to promote our new civilian small arms, as well as maintain our collaboration with the International Practical Shooting Confederation (IPSC) to contribute to further cultivation of the safe use of firearms standards and popularization of shooting sports all over the world." The concern has already produced several sophisticated Saiga-MK107 models. The company is planning to create a carbine that would meet NATO's standards (7.62 x 51 caliber), as well as those of Russian ammunition, whose caliber is 7.62 x 39 and 5.45 x 39 millimeters. The quality of Baikal brand weapons is recognized by hunters and experts on five continents. Its product line includes over 50 base models, 200 variants and over 1,500 possible configurations. There’s no hunter over the age of thirty in the former USSR who has never held in his hands a rifle manufactured in Izhevsk. "Izh-17", "Izh-18", "Izh-27", and "Izh-58" models are dispersed throughout the country from Kamchatka to Turkmenia. The guns serve faithfully both the professional hunters and amateurs. The mass production of the hunting shotguns began in the middle of the 20thcentury. The model range then was not as wide as today including only of over and under shotguns, and single-barreled guns. The dissolution of the USSR brought changes into legislation, and firearms became accessible to amateur hunters. As a result, both conversion weapons such as "Saiga" or "Tiger", and hunting rifles like "Los" or "Bars" became available on the market, and all continue to be manufactured by the Concern Kalashnikov (previously known as "Izhmash"). Izhevsk Mechanical Plant (or IZHMEKH) played an equally important role. It has expanded the basic product line by offering models that use more powerful Magnum cartridges and combination guns. Also it started to develop absolutely new models – like self-loading and pump-action shotguns. The developing Russian market has shown interest in foreign brands that represented a major challenge to the weapons manufactured in Izhevsk. Despite all the difficulties, both Izhevsk plants managed to stay afloat and occupied its niche in the market offering reasonably priced, reliable and long-life weapons. Arms manufacture is considered to be one of the most conservative industrial sectors as it preserves its conventional designs for decades (especially if they proved the efficiency and consistency), but the modern market requires a more flexible response to demand, regular restyling of old models and developing of new ones. As both plants are part of the Concern Kalashnikov, one of the highest priorities for the team now is the rapid modernization of the old models and their substitution by new ones that comply fully with the demands of the world market. In the nearest future, it is planned to upgrade the МР-155 model (its ergonomics, bolt carrier reliability, wear-resistant properties, etc. ), the МР-43 model (new stock, ejector, improved firing mechanism, safety, and swivel), МР-27 model (new stock, better appearance), "Los-7" (new covering of metal parts, ergonomic stock, more reliable magazine fixing, changes in inclination of the grooves), "Bars-4" (same improvements as in "Los-7", introducing new calibers). The upgraded shotguns and carbines will be gradually substituted or updated with new advanced developments, such as the МР-144/142, and the МР-234. Working on various concepts is another significant activity area. Throughout history, there have been developed many concepts, but few of them have ever been launched into batch production. This is best illustrated in the example with the first version of the "Maral" rifle that was developed in the 1990s. Today, the testing sample is undergoing trials that may result in modifications and batch production. "Baikal" is another brand that is supposed to cover all the hunting guns produced in Izhevsk. Further, the product line will include associated goods of the highest quality, such as thermal underwear and hunting outfit. All the weapons, clothes, and other associated goods produced under the "Baikal" brand, undergo long field trials before entering the market. By doing so, we can offer hunters only the most reliable, well designed and processed goods. Some of the latest trials held in Kamchatka, was related to the "Maral" prototype, fall outfit for hunters, and two models of thermal underwear. Sporting weapons for biathletes in Russia are produced by Concern Kalashnikov under the brand IZHMASH. IZHMASH brand sporting rifles and carbines are based on military weapons made by the Concern Kalashnikov, and they have inherited Kalashnikov's legendary reliability and simplicity. The famous designer Evgeniy Fedorovich Dragunov is the forefather of modern types of sporting weaponry. In 1949, a sporting rifle was created under his leadership. In 1960, when biathlon was included into the Winter Olympics, this sport was, so to say, paramilitary. Sportsmen used rifles based on army magazine carbines, distance to targets was 150–200 m, and to hit the targets heavy 7.62 and 6.5 cartridges were used. The 6,5x54R was the wildcat of the 7,62x54R, and may soon be back in production. The first Soviet biathlon rifle was created by engineer Shestryakov on the basis of the famous Mosin rifle. It was called Biathlon-95 rifle and produced by Izhevsk Machinebuilding Plant. The rifle made its debut at the 8th Winter Olympics in Squaw Valley (USA), where Alexander Privalov won bronze in the 20 km individual. Then, in 1960, this event was the sole one, and no women’s competitions were held at all. Nowadays, the Winter Olympics program includes five biathlon events for men, and five for women. Thus, Privalov’s result with Izhevsk rifle can in no way be seen as unsuccessful. The 9th Winter Olympics in Innsbruck saw a real triumph of Soviet sportsmen and their weapons. Our sportsmen won two first places in the mentioned 20 km individual. Vladimir Melanin won gold, and Alexander Privalov won silver. Great changes were seen in 1977: a standard weapon in biathlon would become a small-bore rifle 5.6 mm rimfire cartridge, widely known s .22LR or .22 LongRifle. Izhevsk engineers quickly responded to the new rules, and within the same year released BI-6 rifle for rimfire cartridges. In the 80-s, when the ban on rapid-reload rifles was lifted, Izhmash took the lead producing the famous BI-7 rifle. BI-7-2 is, probably, the most famous rifle of that series. In the 80-s our biathletes won gold in the relay at three successive Olympics exactly with this rifle. Its key difference from any previous models was the barrel locking system, which increased the firing rate of the rifle to the self-loading level, which improved the results of our biathletes dramatically. BI-7-2 became a basis for creation of the next rifles in Biathlon series, BI-7-3 and BI-7-4, which were used by our and foreign sportsmen in the 90-s. BI-7-4 with some structural modifications is currently used at Sochi 2014 Olympics. Traditional advantage of German rifles is a super-reliable barrel. The strength of our sporting rifles is the trigger assembly. It will suffice to recall the broken pin in the rifle of Albina Akhatova, which caused the defeat of our national team at the World Championship in Östersund. Therefore, in search of an ideal rifle, some sportsmen had to use some tricks combining German barrels with Izhevsk receiver. Considering the wishes of sportsmen, today Kalashnikov Concern officially produces BI-7-4A models with Anschutz barrel. One of the latest variants is BI-7-4 rifle, version 9, produced under the order of the Russian Biathlon Union. It differs significantly from the serial BI-7-4. The rifle has a new stock, which can be almost fully adjusted to a specific sportsman. Apart from that, it has an Anschutz diopter sight and an adjustable ring sight. The barrel and the receiver are chromium-plated, which increases its service life by, for example, significantly enhancing the rust protection. BI-7-4, ver. 11 was developed with involvement of Russian biathlon team sportsmen. At their wish, the triggering and locking mechanisms, and sighting system were improved. In addition, the accuracy of hits was enhanced. Ergonomic characteristics were also updated, including a significant reduction in the weight. For national team sportsmen, the Concern produces rifles individually according to the sportsman’s requirements. For example, recently a rifle was made for the Absolute Champion of the World in Biathlon Uliana Kaisheva, considering her wishes and anthropometric parameters. The Concern also produces rifle modifications for left-handed biathletes. The design of the first national sporting rifle for left-handed biathletes was presented by the Concern last year. Thus, notwithstanding the difficulties Izhmash encountered in the last decades, Kalashnikov is reviving the enterprise and its child, Izhevsk rifle. The number of national team sportsmen, who use the updated Biathlon rifle, is constantly increasing. 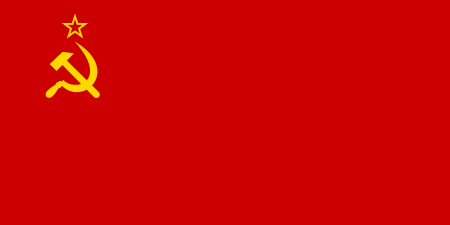 Today it is used by Olga Vilukhina, Yana Romanova, Ekaterina Glazyrina, Olga Podchufarova, Evgeny Garanichev and Alexey Slepov. Apart from the national biathlon union, BI-7 has been long and with interest observed by the Norwegian Biathlon Association. BI-7-3 Cadet rifle for training beginner sportsmen has already been designed under their order. The biathlon rifles include the 7-2, 7-3/7-3A youth/women's models as well as the 7-4 and 7-4A men's model. They have been used in Europe and the USA. – as well as unique custom-made samples crafted to order for individual biathletes on the national team to accommodate their personal preferences and anatomic parameters. In 2015 Kalashnikov Concern declared that it expands business to drones and military boats as part of the company's new strategy for corporate development through 2020. The move, announced at the opening of the IDEX show in February, 2015, and it is the first expansion for the Russian giant. Kalashnikov plans to develop and manufacture drones capable of air surveillance in hot zones and crisis locations, The company also purchased a 51 percent stake in Euroyachting Rybinskaya Shipyard Group that produces high-tech landing craft, search and rescue and pleasure launches. In 2015 Kalashnikov presented: the new assault boats showcased for the first time at the International Maritime Defense Show (IMDS 2015) in St. Petersburg, giving attendees the chance to come aboard and check out the new vessels. Visitors were able to see a BK-10 assault landing boat, a BK-9 assault support boat and a BK-16 multipurpose amphibious boat up close. Kalashnikov Concern demonstrated the BK-16, which is a multipurpose amphibious landing boat with a remote-controlled combat module and light reconnaissance Unmanned Aerial Vehicles (UAVs) on board. It has been designed for coastal landing operations or assault support. The BK-10 assault landing boat was designed to carry squads of up to 10 soldiers and can conduct coastal landing operations and provide fire support. The final BK-9 craft is a smaller assault support boat that is equipped with additional armor plates for more protection while landing a squad. The first IZh motorcycle was 1928's IZh 1, a 1200cc across-the-frame V-twin with shaft drive, designed by the Soviet engineer Pyotr Vladimirovich Mokharov (1888–1934). They "owed a little" to contemporary DKWs. In the 1970s and 1980s, these motorcycles were sold in Britain under the Cossack and Neval brands. The company is the largest Soviet motorcycle maker. IZh first proposed an automobile in 1958, with a prototype four-wheel drive for rural use, the NAMI 048 Ogonyok. It used a GAZ chassis and a 750 cc (46 cu in) flat-twin engine based on the Ural M72. It was not produced in quantity. The first IZh automobiles were approved for manufacture in 1965. 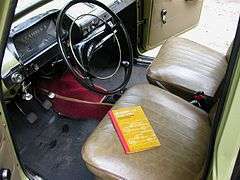 The company started on 12 December 1966 with assembling copies of Moskvitch models 408 (as the IZh 408) with parts shipped in. By he end of the year, 300 had been completed, with the number reaching 4,000 by December 1967. 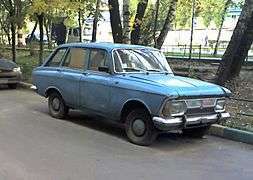 In December 1967, the Moskvitch 412 replaced the 408 on the assembly line (as the IZh 412). This was joined by the 434 sedan delivery in 1968, and later by the AZLK-2138 and 2140, until the IZh-2126 Oda (liftback and wagon, the second body style marked as Fabula). The Oda bore a very close resemblance to the Moskvitch AZLK-2141 Aleko, but had a completely different rear-wheel drive design. 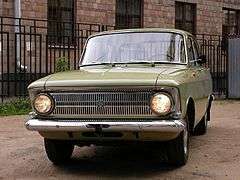 Styling began to diverge from the AZLK originals beginning in 1970, when IZh kept two round headlamps instead of adopting Moskvitch's rectangular ones, and got a different grille. In 1971, the IZh-built 412 was redesignated 412IE. The IZh-built 412s had a reputation for being better quality than the Moskvitch originals. 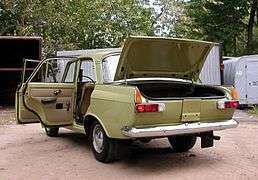 In 1970, IZh designed a prototype five-door hatchback (with the same high liftover) and a delivery on the 412 platform. 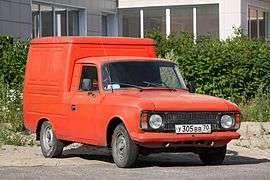 The delivery in 1972 became the IZh 2715; it was powered by a 1,478 cc (90.2 cu in) inline four, had twin rear doors and a box-like cargo area (akin to a cube van ) and could carry a 350 kg (770 lb) load. It and a pickup (what hot rodders would call a pickoupe), announced as the 27151 in 1974, were very popular, both officially in production until 1997, with the final examples built as late as 2001. Pickups were occasionally bought as far away as South America and South Africa, but were forbidden to private owners in the Soviet Union. The 2715 delivery was used by the Soviet post office. A windowed version with rear bed seats, the 27156, appeared in 1987. Top speed was 109 km/h (68 mph) and "roadholding on wet and slippery roads rather minimal". The hatchback reached the market in 1975 as the 2125 Kombi, and it gave IZh another winning model. IZh produced its one millionth unit in 1977. AZLK 412-based IZh models, which were completely IZh own designs were 2715, 27151, 2125 and 21251. 2125 was built until 1982, when it was facelifted along with IZh 412 IE, 2715 and 27121. The newer version of 2125 was named 21251. 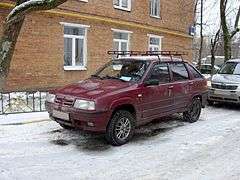 All of the IZh own models were based on AZLK 412 and the bodyshell(with the exception of the rear part, which were different on 2715/27151 and 2125/21251) along with mechanical parts were direct copies of AZLK 412. 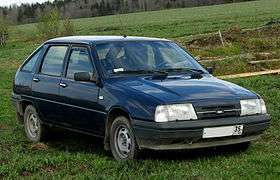 Currently, IZh produces one Kia model and two Lada models. 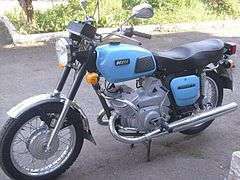 Between 1973 and 1979 IZh was one of the makes marketed by SATRA in the United Kingdom under the Cossack Motorcycles brand; the Planeta and Jupiter models. ↑ Smith, Matthew (2013-08-12). "Izhmash formally renamed Kalashnikov". Jane's. Retrieved 2014-03-21. ↑ "Alexey Krivoruchko - Kalashnikov Concern". Kalashnikov Concern. Retrieved August 15, 2016. ↑ "Company strategy - Kalashnikov Concern". Kalashnikov Concern. Retrieved August 15, 2016. 1 2 "49 Percent of Kalashnikov Sold to Private Investors". Business. The Moscow Times. Retrieved 2016-02-24. ↑ "Izhevsk: the Armory Origin | M.T. Kalashnikov Museum". en.museum-mtk.ru. Retrieved 2016-02-24. ↑ "Концерн "Калашников" / English version / Press service / News". kalashnikovconcern.ru. Retrieved 2016-02-24. ↑ "Концерн "Калашников" / English version / About company". kalashnikovconcern.ru. Retrieved 2016-02-24. ↑ Thompson, Andy. Cars of the Soviet Union (Haynes Publishing, Somerset, UK, 2008), p.180. 1 2 3 4 5 Thompson, p.180. 1 2 3 4 5 6 7 8 9 Thompson, p.181. ↑ Thompson, p.183 caption and p.185. 1 2 3 4 5 Thompson, p.182. ↑ Archived 25 May 2007 at the Wayback Machine. ↑ http://www.russianrevolvers.com/nagant_production.html. Retrieved January 10, 2016.